Škoda, is an automobile manufacturer based in the Czech Republic. Škoda is a subsidiary of the Volkswagen Group. Škoda took over the auto sponsorship of the Tour de France from FIAT in 2004. 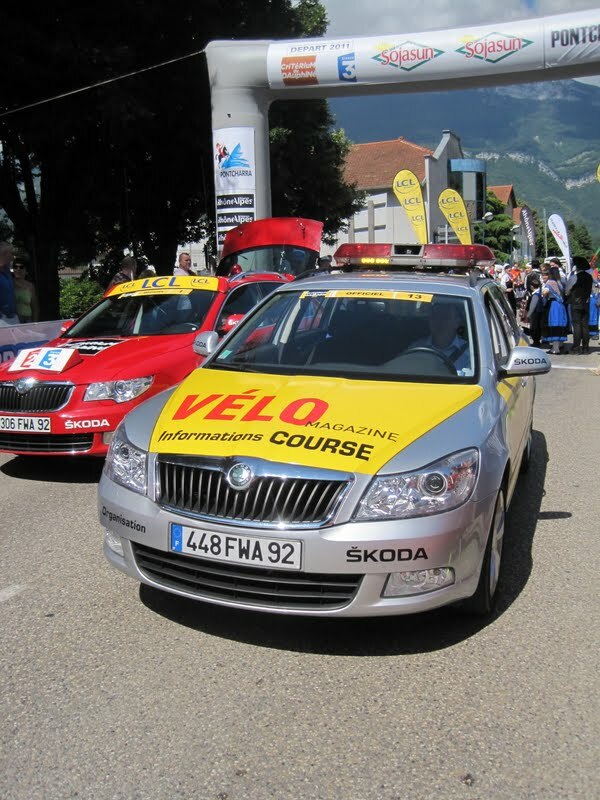 Skoda has also sponsored the white jersey of the Tour de France since 2004. The history of the company has it's base in the love of a bicycle. In 1894 a 26-year-old bookseller living in Czechoslovakia was looking for some spare parts to repair his bicycle. Frustrated in not being able to find the parts he needed, Václav Klement began to manufacture his own parts, eventually going into business with Václav Laurin and expanding into motorcycle parts and then building trucks under the name of Laurin & Klement. After WW I, Škoda Works, an established arms manufacturer since1859, acquired Laurin & Klement, and the company became the biggest industrial enterprise in Czechoslovakia. 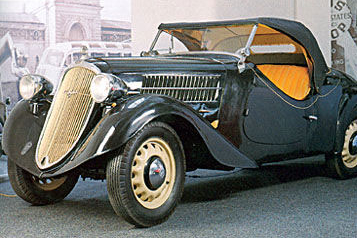 During the occupation of Czechoslovakia in World War II, Škoda Works was part of Hermann Göring Werke serving the German World War II effort. 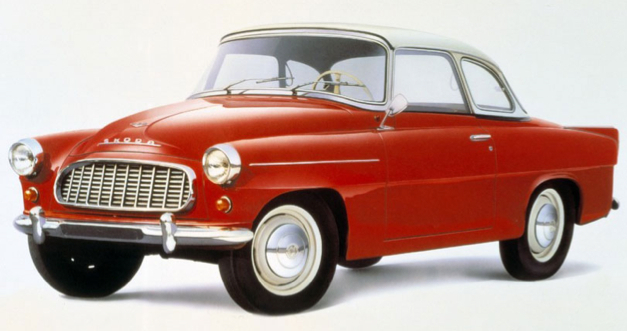 After WW II, Škoda became part of the planned economy. The automobiles maintained their reputation into the 1960s, but by the 1980s became quite outdated. By 2000 Škoda gradually became 100% owned by the Volkswagen Group completing improvements in brand reputation and automobile models. Oh how Skoda has grown! In 2011 Škoda updated their company logo. This is the new look of Skoda. 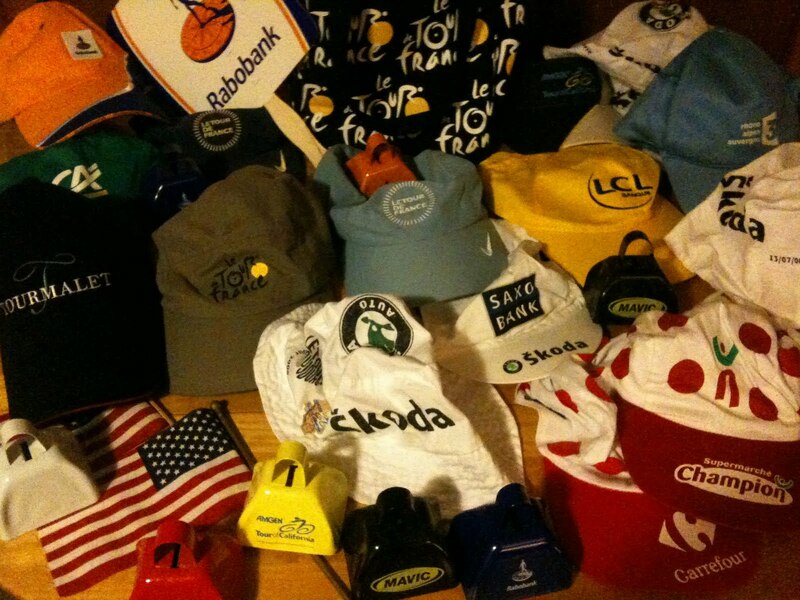 This is the old familiar logo we became accustomed to seeing at the Tour de France since 2003/04. Skoda and the White Jersey: The white jersey, for the best young rider under the age of 25, had been awarded intermittently since 1975. From 1968-1975 there was a white jersey, but the purpose was to award the combination classification rider (best rider in the overall, points and climbing competitions), not the youngest rider. 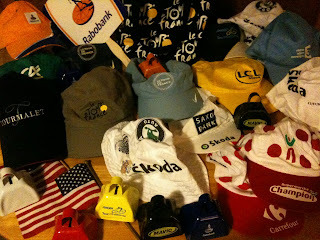 Since 1975, 25 different riders have worn the white jersey, only 5 of them went on to win the yellow jersey. Here is a fact about the white jersey you may not know - in 1997 the official name of the best young riders jersey was changed to 'Souvenir Fabio Casartelli'. In 2010 Andy Schleck won the White jersey for the third year in a row. Andy Schleck turned 26-years old in June 2011. He is now out of eligibility for the white jersey in the 2011 Tour de France. The prize money for the winner of the white jersey is: € 20,000 (€ 66,500 in total). In French the term for the white jersey is Maillot Blanc. Nike makes the white jersey.